Getting weird error when I output to PDF. See attached. Under the hand on the left, there is a highlight that shouldn't be there. It looks as if the highlight on the hand is not masking properly and there is a white halo under the hand as a result on the PDF. 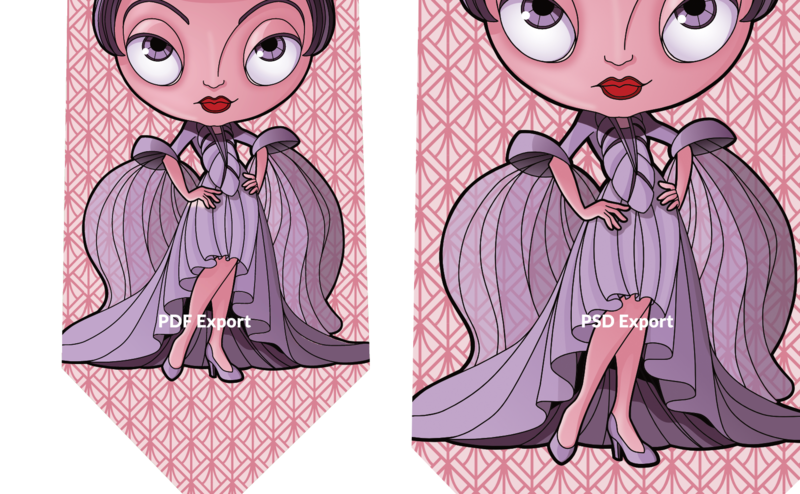 The PSD exports fine. Any help would be awesome! Can you please attach the afdesign file in question? Found your email! I'll send you the file this AM! And thanks so much for the quick response! I really appreciate it! You can use this link to upload it: https://www.dropbox.com/request/Uvl2zqI07tyhv34FQhCe Only staff have access to it. The file is called "tie_2_75_template.afdesign". I'd be curious to see what you find! And sorry in advance if my file is insane. I'm taking masking to an insane place! Move the "Wings" layer behind the "Fingers"
I've logged this with our developers for further investigations.